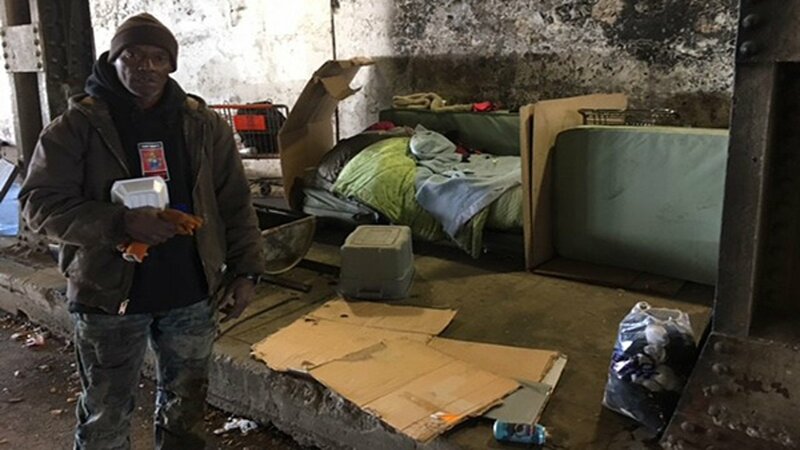 CHICAGO (WLS) -- For the homeless who call the viaducts of the Near West Side home, Friday's scheduled cleanup of the area was difficult. 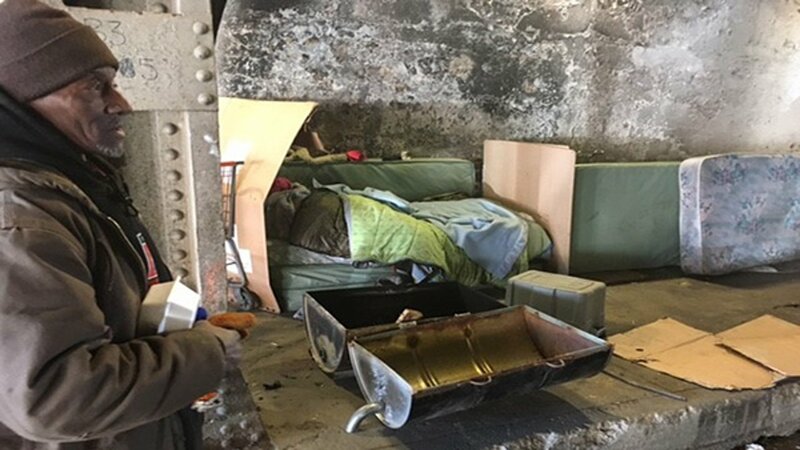 Citizens concerned about the trash and dangerous conditions under the viaducts have called for weekly cleanups, which are required by a city ordinance. 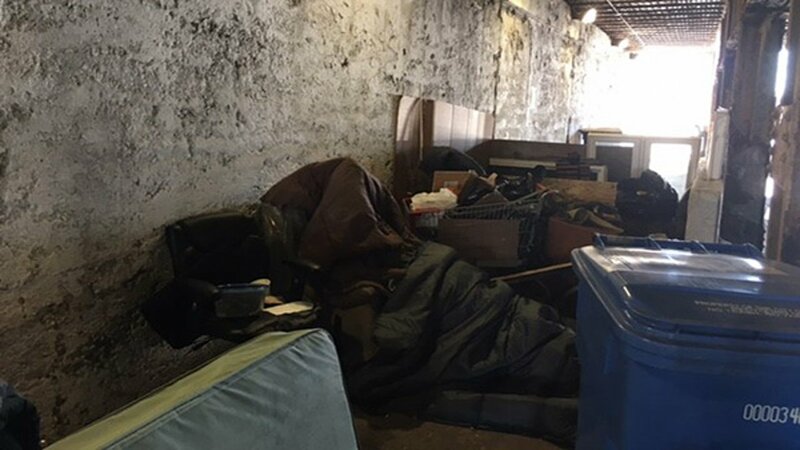 "You keep it clean it's a different ballgame," says Tommy Miller, who lives under the Hoyne Street viaduct. 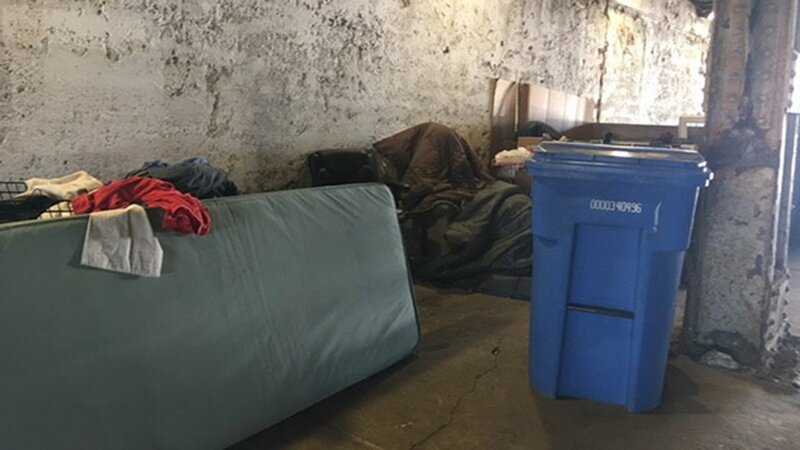 Nevertheless, police and streets and sanitation officials looked on as garbage, shopping carts and mattresses were removed at North Oakley Boulevard and West Hubbard Street. Workers were careful to respect the civil rights of those who call the area home. 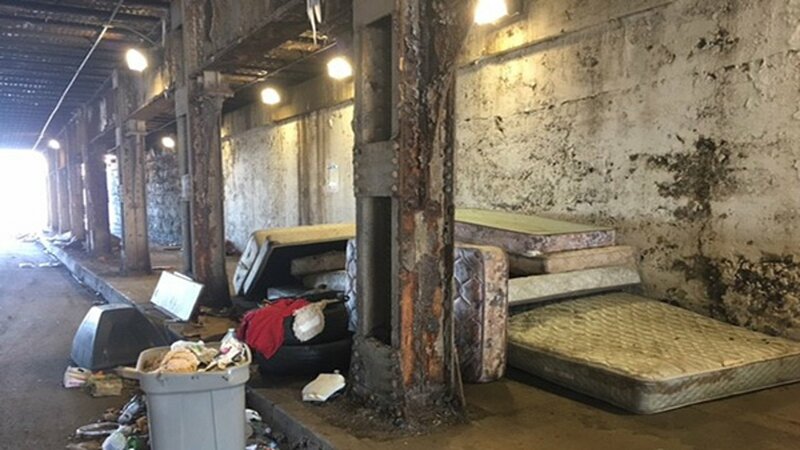 "These conditions would not be tolerated at the Mayor's house or City Hall," said Executive Director of the Fulton Market Association Roger Romanelli. "We are asking for weekly cleanup of our community so we can bring investment and economic development. It's not about the homeless." Local residents and nearby business owners said neglect leads to open air drug markets that have to stop. "Pretty much they would pull up on this site... there is a money transaction done... and they turn around and go to the southbound side," said business owner Brett Neuberg. "I have seen four or five cars do that in maybe a 30 minute period." That reality make this area dangerous, especially at night. "You never know what's going to happen," said resident Charles Lablanc. "There are all sorts of shady characters, not the homeless, but there are people who come around here in cars all night long." 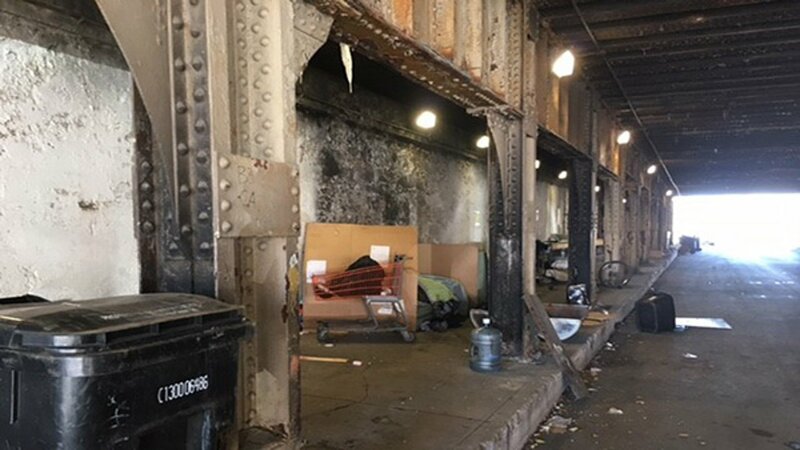 Cleanup advocates said the Kinzie Development District has $100 million in Tax Increment Financing or TIF funds available for the project. They say that money could be used to attack the multi-faceted challenges that lead to such blight. "Our civilization has to start with cleanliness and public safety," said Romanelli. "Something has to change." 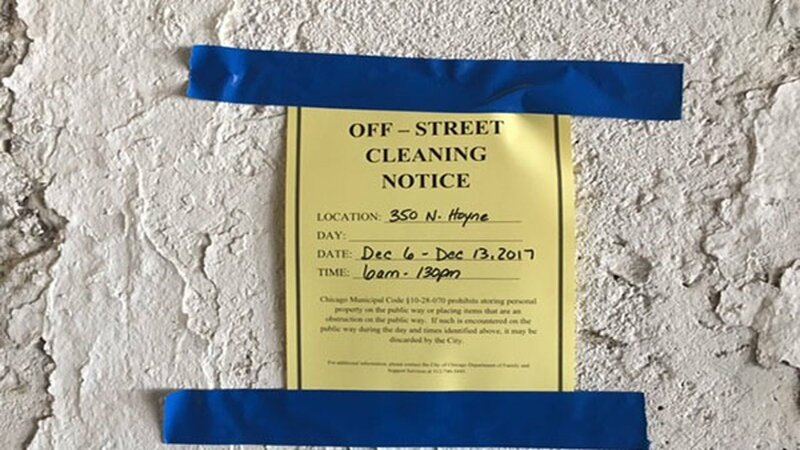 Alderman Walter Burnett of the 27th Ward said that keeping the area clean while caring for the people involved is a particular challenge. Burnett said weekly cleanups are the goal, "but there are a lot of places to clean up."